Vodafone Mobile Broadband Secondary Port Modem Huawei is a Ports device. 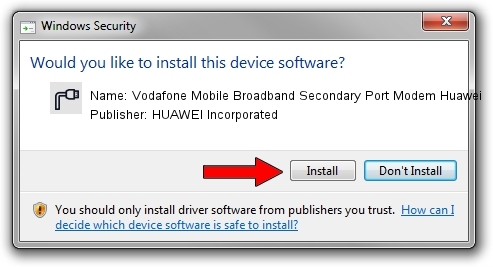 The Windows version of this driver was developed by HUAWEI Incorporated. In order to make sure you are downloading the exact right driver the hardware id is USB/VID_12d1&PID_14A4&MI_00. 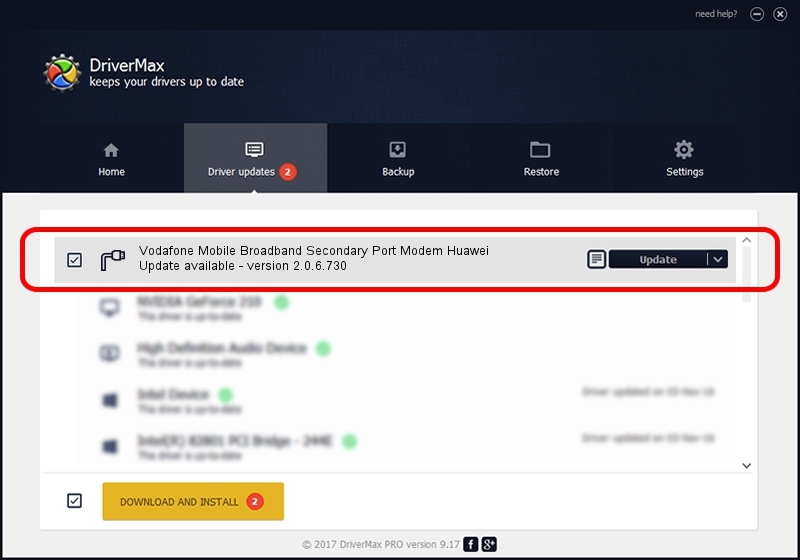 You can download from the link below the driver setup file for the HUAWEI Incorporated Vodafone Mobile Broadband Secondary Port Modem Huawei driver. The archive contains version 2.0.6.730 dated 2014-08-01 of the driver. This driver was installed by many users and received an average rating of 3.1 stars out of 43300 votes. Take a look at the list of detected driver updates. Search the list until you locate the HUAWEI Incorporated Vodafone Mobile Broadband Secondary Port Modem Huawei driver. Click on Update.